Topic started 1 year ago by Remy in The Joshua Tree 2017 tour. Since then 245 posts have been made by 35 users. 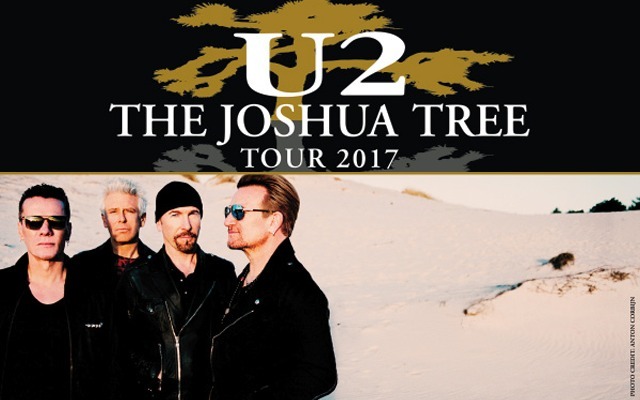 The Joshua Tree Anniversary Tour will hit Cleveland, Ohio. This topic is for all discussions pre, during and post-show! Will you be at any of these shows? Click on the date, and then add yourself to the list of attendees. My girlfriend and I will be there! She has never seen them, this will be my second U2 concert. Cleveland back in '87 was the first. I do have a feeling we have view obstructed seats (section 121, row B). I have been in contact with Ticketmaster over the past few weeks over this. After repeated denials by them (our records show that your view won't be obstructed), they finally acknowledged that our view probably will be obstructed last week. They said since the show is sold out, they can't move us up but told me to request a refund and they would do what they could to help. I am hoping First Energy might move us elsewhere or some seats higher up will magically apppear. There are around 500 lower level seats in 121 as well as 120 whose view is gonna be obstructed big time I think. Hey, about some GA tickets for us! What will adding another 1500 do? Not holding my breath but I am hoping for the best and will make the best of the situation. Hopefully, it won't rain next Saturday night. Hope everyone attending has a good and safe time. Hopefully, U2 will do something extra special at the home of the Rock and Roll Hall of Fame! Wow, that is some time that will have passed between your first and second concert! Haha, I know. When, I heard the announcement back in January that they were coming to Cleveland for this JT 30th Anniversary tour, I told my girlfriend, we are going. Absolutely, no way I was going to miss this. I'll be doing GA for Cleveland! Last time I was in the city was four years ago for a Spring Break trip with my wife to the Rock and Roll Hall of Fame...from Zoo TV trabants in the lobby to U2 memorabilia on display like Adam's PopMart bass to a screening of U23D, a great time! Weather looks rainy during the day but done by show time...probably will get lunch and drinks at Great Lakes Brewing before getting in queue around early/mid-afternoon. Looking forward to the show! Will be my first time in Cleveland on Saturday. Any recommendations of some good places to eat? Arriving around 1PM. Got tickets for the Rock And Roll Hall Of Fame on Sunday. Very excited! Has GA line begun ? Originally posted by AMLBONO :Will be my first time in Cleveland on Saturday. Any recommendations of some good places to eat? Arriving around 1PM. I've only been to Cleveland twice so I am no expert, but if you like craft beer then Great Lakes Brewing is a good choice - close to Lake Erie and also close to FirstEnergy Stadium. You'll love the Rock Hall! When I go to Cleveland, it is usually for Cavs or Indians game so normally we eat at places in the Gateway District. Wilberts next to Progressive Field is a good place to eat. Good food and cheap. Half a rack of BBQ ribs with fries, $9.99! Can't beat it. E. 4TH corridor is a pretty cool area with a good selection of restaurants and bars. Street is closed off from cars as well. Pretty hopping area at night too. I have eaten at Pickwicks and Frolics which is pretty good and Harry Buffalo, if you like the sports bar scene. Best thing to do is Google it, if you are looking for something in the immediate vicinity of First Energy. Lot of different places. With Gateway District you are looking at maybe being .5 to 1 mile from First Energy. Originally posted by Timk68 :Has GA line begun ? I hope not. First time since Spartan Stadium Show me. Can't wait. Crap, GoPros are banned. Clearly stated in the concert rules and procedures. Not taking a chance. The name Achtung Baby was chosen so that their new album could not be taken seriously because on their last album Rattle and Hum, they were critically attacked. Achtung means attention is English: "Attention, Baby," is the literal translation.